Use this online Random Song Title Generator app to stimulate your imagination. This app creates several randomly generated song titles. Some my seem silly but don’t let that stop you. Just because a title seems odd, don’t dismiss it. Perhaps it will stimulate something that will inspire you. Use your creativity to mold nonsense titles into something that makes sense. You may find a gem in the process. Once you find a song title that appeals to you, you can use it as a starting point for your song. To change the list of song title just click the “refresh” button to create a new series of random song titles. I have made 2 original songs, struggling on ideas tho. I really enjoy writing them takes a real long time cause I need inspiration! Pleases help me. Keep me posted – I’m happy to push it out to my email list and social fans! Ok so me and my friends made up a band called girl gang so we were trying to make up a song but we can’t fingert it out ? There are many tools on this site that will provide prompts to get you started. 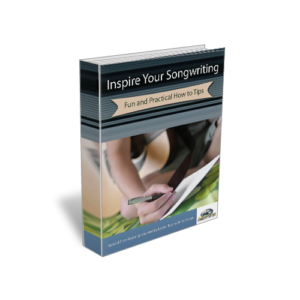 There are many article on the song writing process read them and learn. Don’t worry if the first few songs aren’t great songwriting is a skill that gets better the more you do it. Make a goal to write 50 or 100 songs. Out of that you will get maybe 5 to 10 great songs. Normally I don’t read post on blogs, but I wish to say that this write-up very forced me to try and do it! Your writing taste has been amazed me. Thank you, quite nice post. So, what’s the difference between all of us bedroom studio producers and professional artists? The answer is that we all write good stuff, but the ‘pros just have a talent for putting it together.’ Putting it together is essentially arrangement, which is specific to each genre. Arrangement is not writing, although a good knowledge of arranging is a good thing to have for producing your own demos.